Home > Articles > Expert Advice > Common mistakes when self-designing a kitchen. There are many traps that homeowners fall into when designing a kitchen for the first time. Many people after deciding to renovate their kitchen will take the next exciting step of designing the layout themselves. After all, we’ve all heard of the working triangle, what else is there to know? 1) The cabinet depth is set at 600mm. 600mm is the standard minimum depth your cabinet can be. At this depth you are limiting your options for sink and tapware and reducing your storage space. 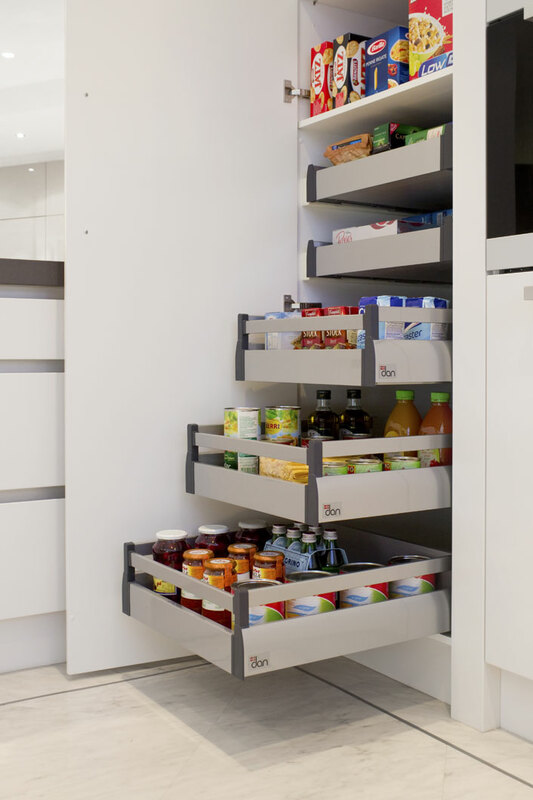 If you have the space and the budget, why not go wider and give yourself more storage depth? A typical depth that we specify is 680mm and can be as high as 700mm. 2) Using a 2200mm cabinet height or less. Again, 2200mm is a common standard minimum for the overall height of the kitchen. In some cases this is adequate, particularly in homes with low ceilings. The majority of homes we see however have ceilings 2700mm and higher, leaving a gap of 500mm or more above. This is wasted space! Design your kitchen so that it’s just under the height of the cornicing, build a bulkhead on top and place new cornicing around the bulkhead. 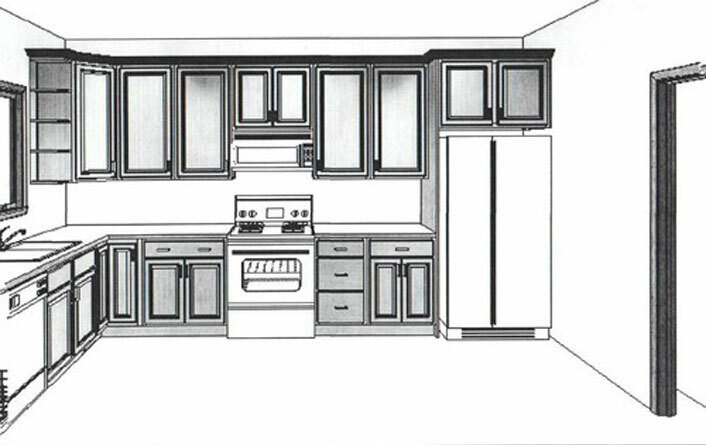 This is will give you a full floor to ceiling kitchen, containing much more storage space. 3) Not allowing enough space for fridge doors to open. Placing the fridge niche next to the wall just isn’t practical. A lot of plans we see from customers, and sometimes even architects, have the refrigerator placed right up against the wall. On paper this position looks ideal, however in practice this is far from it. The problem lies with opening the refrigerator door. In this position, it can only open 90 degrees with the fridge handle hitting the wall. To make matters worse, most refrigerators require doors that open more than 90 degrees in order to access the crisper and to remove shelves for cleaning. To avoid this, you can increase the width of the refrigerator niche (not a tidy look and space inefficient), place a tall cabinet between the wall and refrigerator (usually a pantry) or in the case of integrated refrigerators, add a wide filler panel. A refrigerator hinged the other way isn’t a good solution as you have to walk further to open it. 4) Incorrectly specifying benchtop height. For many years the standard height for a benchtop was 900mm and a lot of plans we receive still show this. Ever since the 1950’s however, people have been getting taller on average, increasing the “standard” benchtop height to somewhere between 910mm and 950mm. Specifying a height within this range will suit most adults and teenagers. 5) Doors clashing when opened. A very easy mistake to make is to not check if there are any doors, drawers or appliances that will hit each other when opened at the same time. A common clashing pair is an oven door with a fridge door. 6) Not providing enough storage space. There is something very satisfying in opening a cupboard and seeing there is a neat place for everything. Some of the ideas and layouts that customers show us can at first appear to be good solutions. On inspecting their current kitchen and its contents we unfortunately learn their design will not provide enough storage for their current kitchen items. 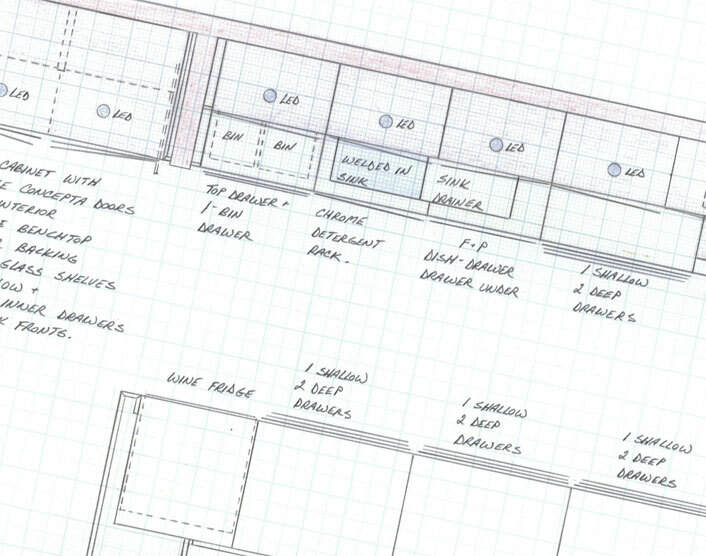 When working out how many cabinets you need, a quick method is to count how many doors and drawers you already have versus how many your design has. 7) Forgetting to find a home for large appliances. Not having enough space is one thing, but not having a spot to store larger items like benchtop appliances is annoying. A good kitchen designer will photograph the entire contents of your kitchen and measure the size of large benchtop appliances. When they sit down to design, they will work out a convenient place to store your appliances when not in use. Storing appliances is not always required, in fact many people like to display their benchtop appliances all the time (coffee machines, Kitchen-aid mixers and the Thermomix come to mind). The examples above represent the most common mistakes people make, there are many more we could add to this list. 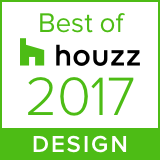 For those self-designing their dream kitchen, take heed, otherwise put your kitchen design into the hands of the experts.